Because of its customizable modular architecture catering to a multitude of needs, Apache is a widely used cross-platform web server. Although it has highly stable nature, yet, performance bottlenecks in Apache web server lead to slowness in the web pages. Inability to see the number of web server requests and traffic spikes to the website makes server capacity management difficult. Poor performance of the associated IT infrastructure—operating system, database, virtual machines, hardware, etc.—causes website downtime. Hence, it is important to implement a robust Apache web server monitoring system in order to identify potential problems before they turn into something big. Idle Threads: It is the total number of idle workers/idle processes waiting for an HTTP request. If there are very few or no idle processes, that means the server is using up all the processes and the new requests have to be on hold until the older requests are completed. Busy Threads show the total number of processes actively processing an HTTP request. Bytes per Request: This metric gives the average number of bytes being transferred per HTTP request. Bytes per Second records the total amount of data the web server is transferring per second. Throughput records the total number of HTTP requests the web server is processing per minute. The Server Analyzer module of the agent monitors other aspects of the OS such as CPU%, Process, Physical free memory, system load, swap memory usage, TCP Connections etc. Apache User Experience Analyzer dashboard gives details of types of transactions, number of transactions coming in, number of errors in those transactions, load at any point of time and average response time. Alerts can be generated on transaction failures & SLA violations. Individual transaction details are available in the Transactions tab. The module for monitoring Apache Web Server also supports the IBM HTTP Server. This feedback from a happy customer encouraged us to write & publish about Applicare’s User Experience Monitoring, which is going to be amazingly useful for anyone in the industry. The world map on the Overview tab shows the performance breakdown for each country. One can view top transactions by different criteria such as page count, average page load time etc. The chart shows the performance data over the selected time period / for a specific country selected on the world map. Transactions Summary view displays performance statistics of transactions for the selected time period / for the selected transaction, along with the timeline chart. Data is displayed on the Realtime Transactions tab as soon as users start accessing the application being monitored. This view not only displays the performance stats of the last n number of individual recorded transactions, but also the location and browser information of the users accessing the application. One can reach to the root cause of a slow transaction by drilling down that transaction to find slow methods / SQL queries. Slow Transactions are determined based on the ‘Saved Slow Transactions Percentage’ specified in UEM Slow Transactions configuration. The ‘Time Distribution’ picture of any transaction helps in identifying where the slowness is, in a matter of a minute. Browsers tab displays performance data for each client browser processing the transactions. Servers tab displays performance data of the backend servers processing the transactions. OS tab shows the OS used by the users of the application being monitored. Analytics tab provides analysis of the application usage, e.g. Total visits, average page view duration, unique visitors, bounce rate etc. Interested in trying out Applicare’s UEM? Register here now and get access to the trial version. Because Ben Franklin knew a lot about not letting small problems become big headaches, he would have loved Applicare! Discovering trouble after it happens is too late. The only way to survive in business is to stay ahead of what tomorrow may bring. Arcturus Technologies’ health check service can keep your application environment tuned-up and running smoothly. Applicare™ is the market’s easiest-to-use next-generation Application Performance Management (APM) and Business Transactions Management (BTM) solution. Its embedded AI monitoring capabilities can improve your app’s health, user satisfaction, and business transactions. Applicare lets you know if something is wrong in real-time. Its innovative alert system enables enterprises to fix problems quickly before they have a chance to become major challenges. 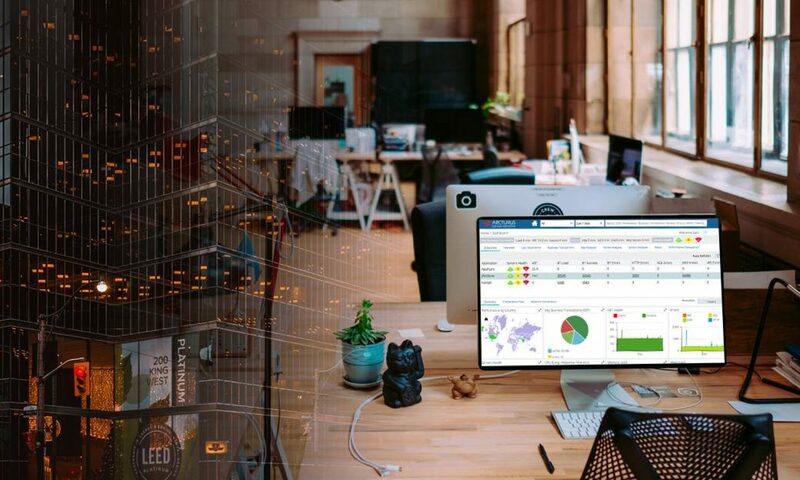 Arcturus Technologies is proud to provide application performance monitoring with advanced analytics and data integration platform — the Applicare Platform — that lets organizations to take maximum advantage of their business-critical data. There is no better way to discover and remediate where enterprise level applications are missing the mark. Applicare delivers instantly! By uniquely combining consulting expertise and Applicare capabilities, we offer a comprehensive health check to review your applications’ environment, configuration, and performance. Register here to schedule an ROI rich “Health Check Engagement”.